The IT Company in Bath that has Bath in its Blood. Invisible Network is headed up by Mark Steel, and run by the same team that’s behind the long established ‘Everything IT Ltd‘. Mark has been in business in Bath for over 30 years. It’s something of a tradition in his family — his parents, grandparents and great grandparents all ran small businesses here too. 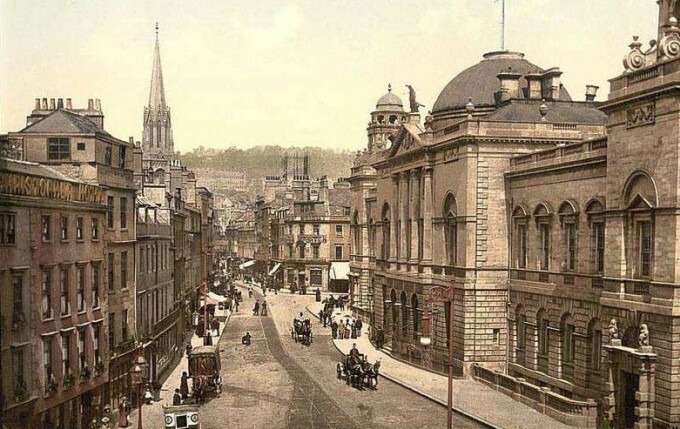 In fact, some astute Bath residents may recognise Mark’s grandfather’s name: Len Lanham, of the well-known Driving School, which you still see on the road today. (Though there is no connection now, Mark still recalls sitting on his grandfather’s knee in the early ’70s, trying out one of the first ever driving simulators — he wonders what his grandfather would make of the genuine Virtual Reality Oculus Rift 3D simulator, now on display in Invisible Network’s own office). The Invisible Network team has been working together since the ’80s, helping thousands of local residents and small businesses achieve their WiFi needs. We are now helping customers further across the UK as well, but despite this growth, we will always remain true to our roots – supporting the same businesses and individuals that we have been serving since the company opened all those years ago.